With all the enthusiasm and conjecture surrounding the legal cannabis industry, there is still a large fraction of eager cannabis job applicants who are unaware of marijuana industry salaries. Though budtending, trimming and cultivation jobs are hotly pursued careers, few people stop to wonder if working in the cannabusiness will provide the personal financial gain one would expect from this new, potentially colossal industry. In attempt to provide a preliminary resource for individuals to determine which field in the marijuana industry is right for them, I’ve scoured through some websites and publications to cull a range of salaries for the industry’s key jobs. Since the legal cannabusiness is relatively new and regulated by individual states and municipalities, the following marijuana industry salaries represent a snapshot of the industry today. If the past few years have proven anything, laws are bound to change, or at least update with new cannabis legislation frequently debated in government. How Much Do Marijuana Dispensaries Pay? Marijuana dispensaries are legal pot shops at the forefront of cannabis distribution to recreational customers and medical patients. Dispensaries provide service and administrative jobs that follow a similar structure to positions found in bars and cafes, though there are some major differences between “regular” service jobs and the cannabis industry. Perhaps the largest difference between marijuana dispensaries and other service industries are the medical implications of cannabis products; yet, dispensaries undergo the same over-regulation as alcohol. Budtenders — your attentive neighborhood pot experts. These individuals lead the customer service sector of the cannabis industry by facilitating the sale of cannabis products from dispensaries to patients and customers. Budtender jobs come with a lot of perks. The fact that the job involves discussing and selling weed is enough for many folks to accept a position without even knowing the pay. Realistically, budtenders make wages similar to that of many other customer service jobs. Pay starts around ten dollars per hour and averages around $11-12, plus tips. Experienced budtenders who have worked in a dispensary consistently, or have obtained a leadership role in the business, could make marijuana industry salaries from around 21k-26k. The other benefit to consider with budtender jobs is the employee discount on cannabis products. What better job perk can you think of than getting discounted weed at the end of your day? Ultimately, budtender jobs act as a fantastic springboard for advanced careers in dispensaries, growing, and other careers in the cannabusiness. Like budtender jobs, marijuana receptionist jobs also come with a lot of perks. Receptionists are the front desk staff that greet customers and patients upon entering a dispensary. Receptionists are the kings of compliance, ensuring dispensaries operate perfectly with laws and regulations. Reception is often considered to be the most entry level marijuana job in a dispensary, though there is significant crossover between budtenders and receptionist duties, especially in smaller dispensaries. Like budtenders, receptionist marijuana industry salaries begin at minimum and vary depending on experience and responsibility level. Dispensary managers oversee daily operations of the shop, as well as hire and train employees. The manager is essentially the right hand of the dispensary owner. Not only do managers facilitate sales, they often contribute hours as budtenders, participating in direct sales. Dispensary management is not a job to be taken lightly. Store owners desire individuals with a background in the marijuana industry and consistent managerial experience. Though managers take on a lot of responsibility with personal accountability, their salaries reflect their dedication and hard work. In an article from 2014, Vocativ.com found that dispensary managers make marijuana industry salaries around $48,000, plus benefits. Not a bad payout for working with weed! You can’t have a marijuana dispensary without an owner! It may sound glamorous, but being a dispensary owner is one of the most difficult jobs in the industry. Not only do owners invest significant capital into a developing industry, they must navigate the convoluted legislation and ultra-specific laws that control the legal marijuana market. Owners must comply strictly with all provisions,or risk being shut down or worse. It’s difficult to estimate the personal payout of marijuana dispensary owners, since there are so many factors that contribute to a business’ success or failure. Certainly, owners have the opportunity to make significant incomes if their business is bringing in a lot of revenue, but they also risk losing a lot of money as well. As a whole, marijuana industry salaries in the customer service sector are placed on the lower end of the spectrum as far as wages go. With that said, service is the main field through which individuals start their cannabis careers. How Much Do Trimming Jobs Pay? Bud trimmers may work a tedious job, but it’s a job worth sticking with! Trimmers perform a necessary step in preparing marijuana flower for packaging and sale. The process involves snipping excess plant matter, such as sugar and fan leaves from around the bud, creating an optimal product. Even though trimmers perform the same task over and over, the job allows for significant income growth based on efficiency and skill. At the onset, trimmers make around $12-15 per hour, which is more than most customer service weed jobs. Trimmers with seasons of experience, who produce high volumes of trimmed flower over a short period of time are frequently rewarded for their efficiency. There are trimmers out there who make twenty, even twenty five dollars per hour for major grow operations. Working as a trimmer can open up further opportunities in cannabis cultivation or production and is a great way to make connections and increase workers’ marijuana industry salaries. How Much Do Cultivation Jobs Pay? Cannabis cultivation is the process of growing marijuana from seed to maturity; after which, it is harvested and trimmed, before being cured. Cultivation is usually headed by a master grower who works with a team of assistant growers and other laborers in hopes of producing a successful crop. 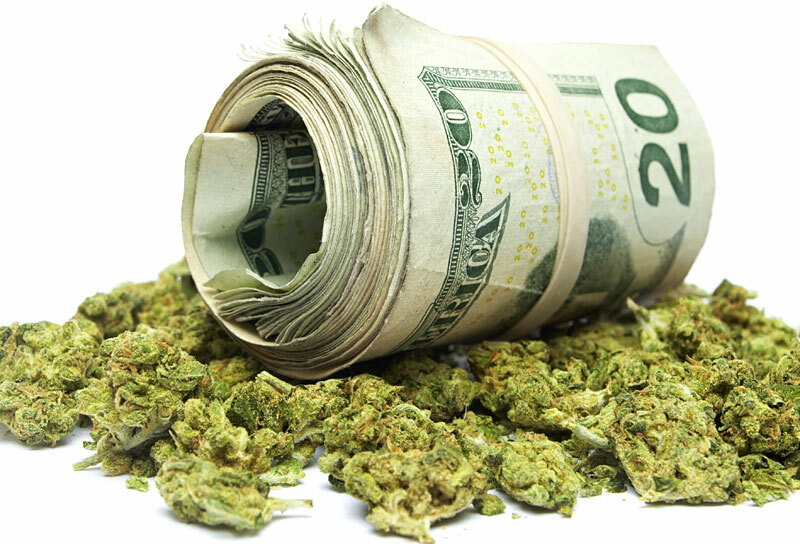 Master growers make some of the highest marijuana industry salaries, and for good reason. This role comes with myriad controlled and uncontrolled factors and a lot of stress. Growers spend hours on their feet, monitoring the growing process at every turn to make sure the plant is healthy and hasn’t been compromised by disease or pests. Working as a grower usually requires years of experience working at grow operations, as well as advanced degrees in horticulture or agriculture. All things considered, growers can make anywhere from 72k to 90k plus bonuses and beyond! While growers may be rewarded with a hefty income, they are responsible for the success of a crop and therefore, the grow operation as a whole. How Much Do Cannabis Extraction Tech Jobs Pay? Cannabis extraction technicians are accountable for using solvents such as CO2 and butane to extract cannabinoids like THC and CBD from cannabis plants to create concentrates. Concentrates are highly potent substances that can be sold and smoked in the form of dabs, or can be used when making marijuana edibles. The medical marijuana community strongly benefits from this job as it allows for a greater variety of long lasting, highly concentrated products. Extraction techs can secure high marijuana industry salaries, since the job involves laboratory work, potential danger and a deep well of scientific knowledge. The average salary for the position runs from 80k-105k, demonstrating just how important this job is for the industry. How Much Do Marijuana Edible (Medibles) Chefs make? For the cuisine and cannabis inclined, medibles chefs use several methods to produce a vast array of refreshing cannabis products. Edibles run the gamut from iced chai lattes and gummy worms, to soups and seasoned rice. It is the job of the chef to infuse food items with cannabutter or concentrates to make a potent (but not too potent) product that can be sold in dispensaries. Unfortunately, not just anyone can lead a professional medibles kitchen; chefs come from extensive culinary backgrounds, with years of experience working in professional kitchens or with culinary school degrees and certifications. Due to stringent regulations, chefs are usually banned from tasting their products once they are infused with cannabis, so chefs have to be confident in their work! Medibles chefs can bring home significant marijuana industry salaries — up to 80k if they lead the kitchen. Top ranking medibles chef jobs pay similarly to that of a high ranking job in a restaurant. Learn more about marijuana edibles jobs. The above marijuana industry salaries and jobs reflect just a sample of the many opportunities created by the booming cannabusiness. As time passes, financial trends appear and the industry develops more standards across the board, the nature of compensation for jobs will likely change to reflect demand. The legal industry is still young enough that it can be hard assess with accuracy how time will affect marijuana industry salaries.